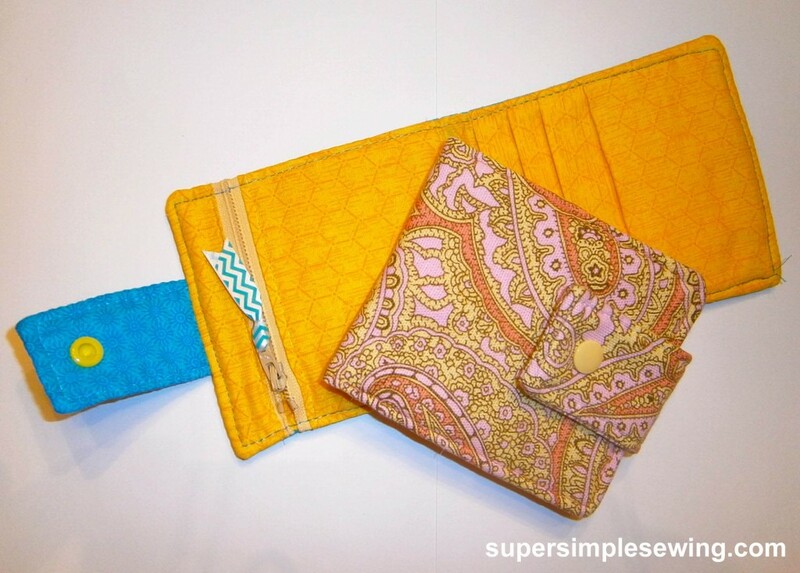 I love giving this wallet as a gift for someone paired with their favorite gift card. I can always find a scrap big enough to make another one. 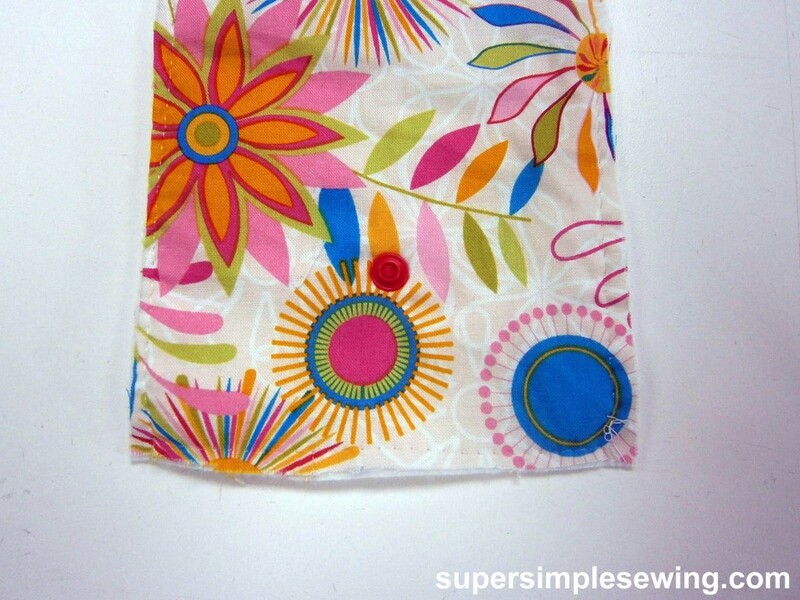 It is appropriate for quilting fabric, fat quarters, light weight home dec fabrics as well at many other light to medium weight woven fabrics. The batting used here was cotton quilt batting but any other light batting will work. If you don’t have batting or want another look you could also interface the main piece instead. 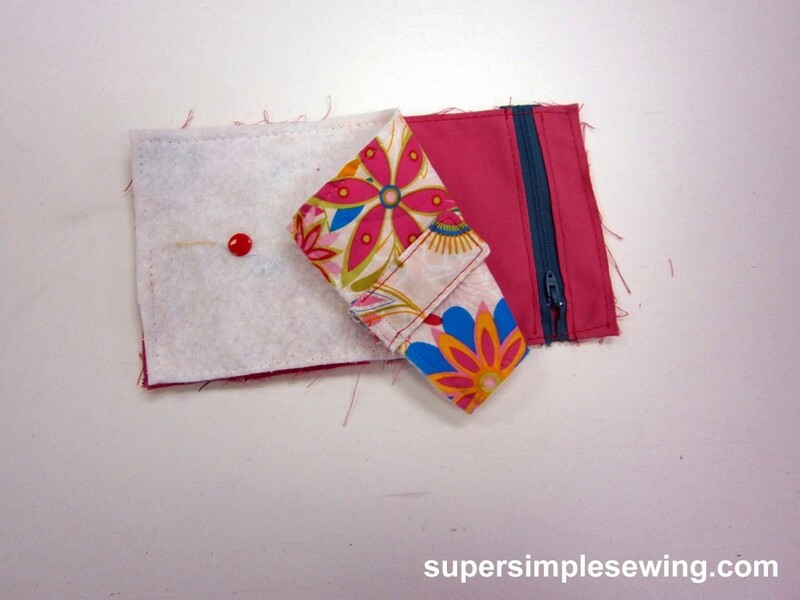 This project is for someone with a little sewing experience. 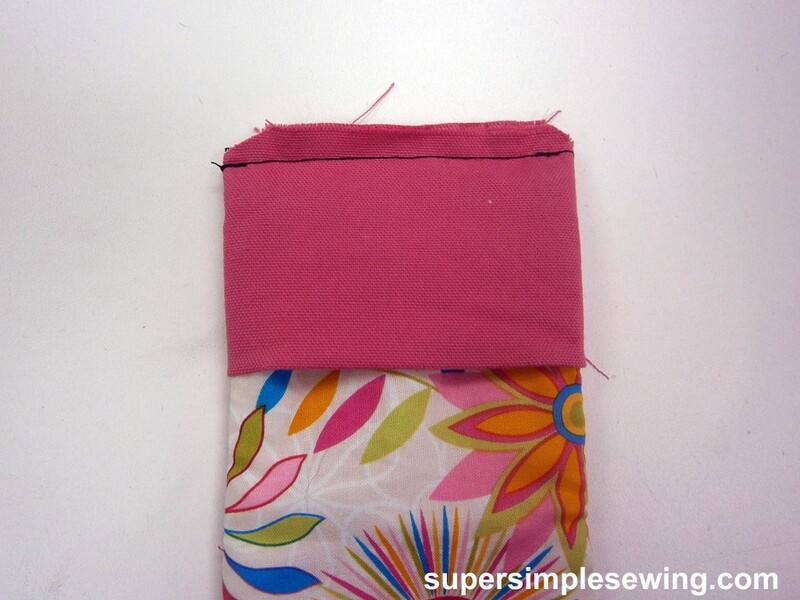 Baste piece A face fabric to batting 1/4″ from edge and trim batting to match. This is much easier than cutting both pieces then matching them back up again. 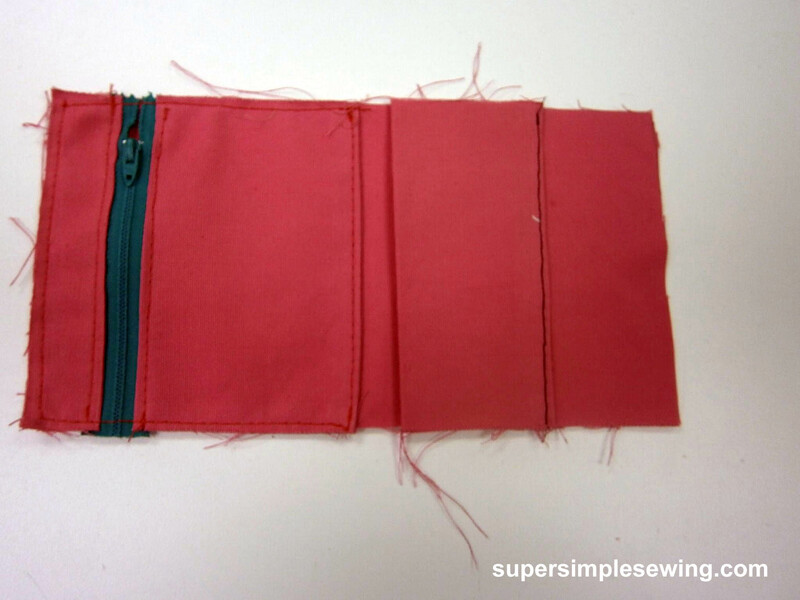 Sew 1/2″ seam on 3 sides of snap closure tab. Baste in place. notice it is opposite of the snap, not on the same side. 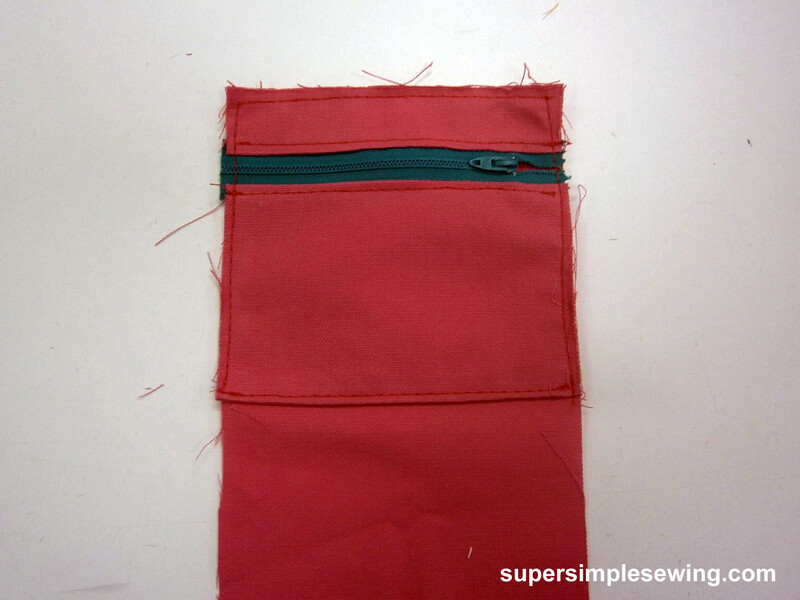 Fold zipper pocket section in half on fold line and sew 1/2″ seam on raw edge. Turn and press on seam. 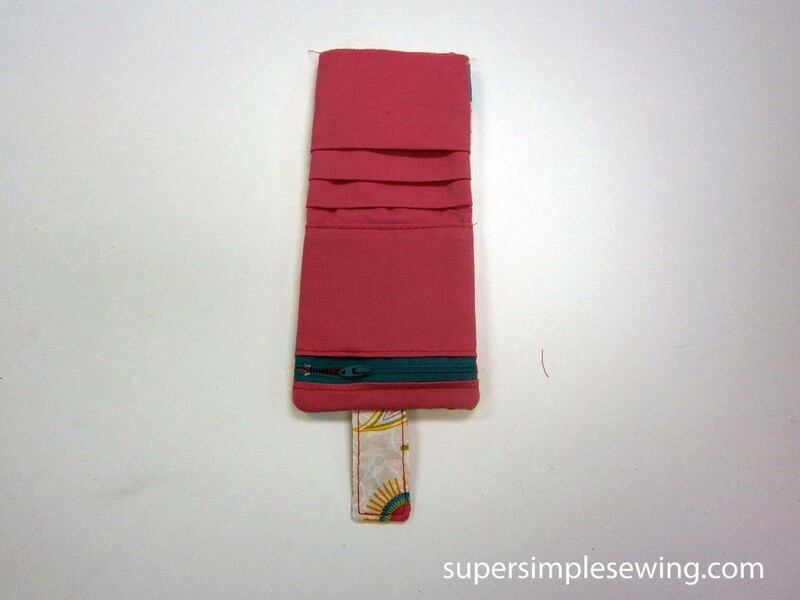 Fold top of zipper section in half and press. this piece will be narrow. 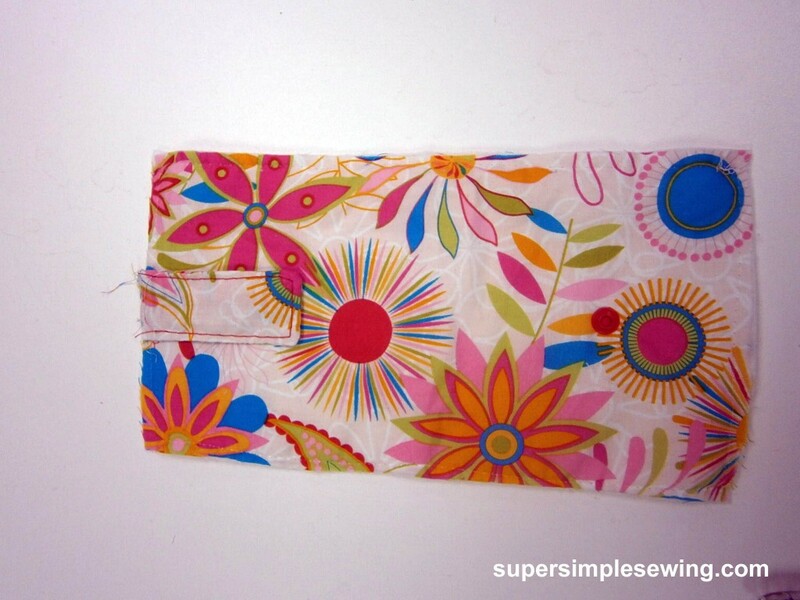 Place folded edge of zipper sections right side up and top stitch to the zipper. 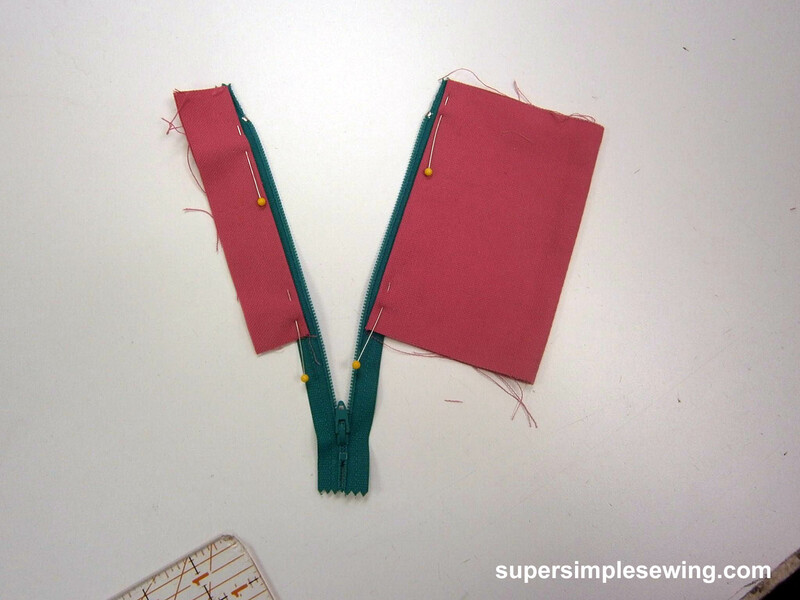 If you open zipper it will be easier to sew in place. 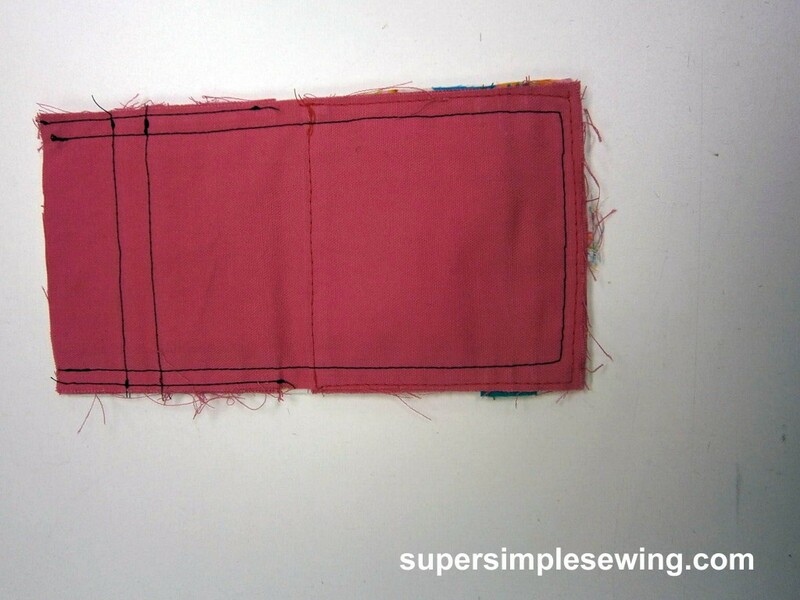 Fold 2 pocket sections together right sides in and sew 1/2″ seam . Turn and press. 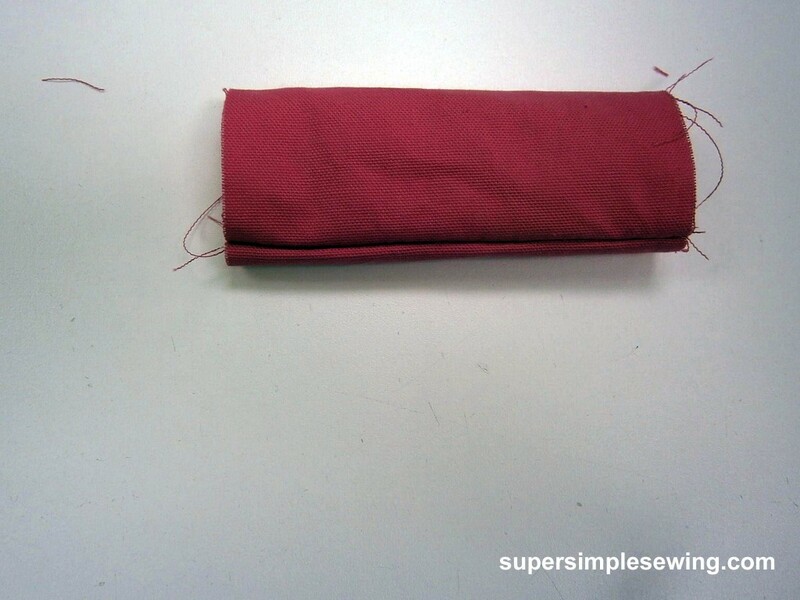 Place top pocket 2″ up from the bottom stitch close to edge along the bottom only. Place bottom pocket even with the edge and baste in place along sides only! 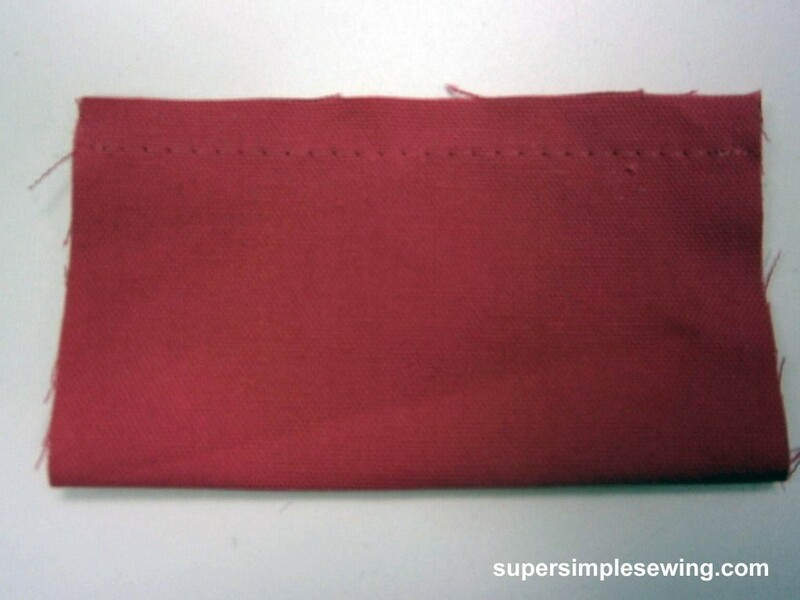 The bottom pocket is the one that was folded not sewn. 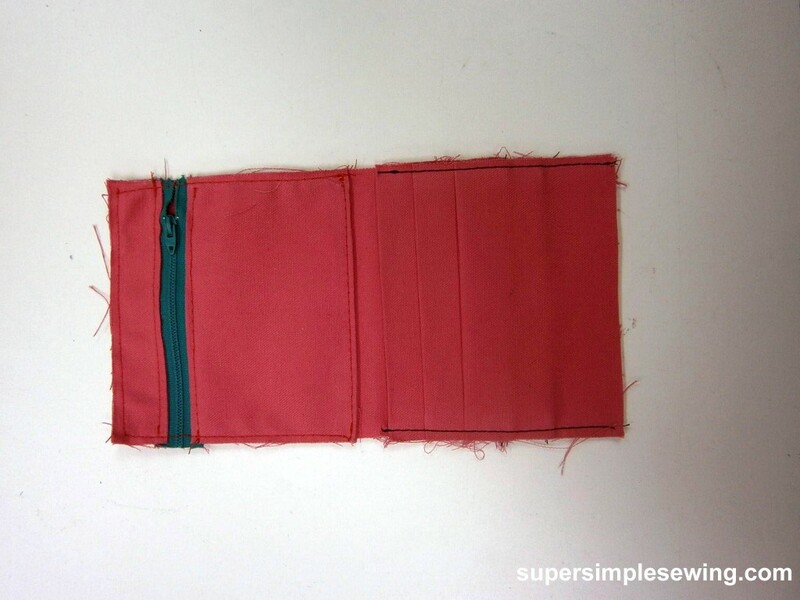 Place right sides together and sew wallet on 3 sides leaving the pocket side open. Flip bottom pocket to the front. 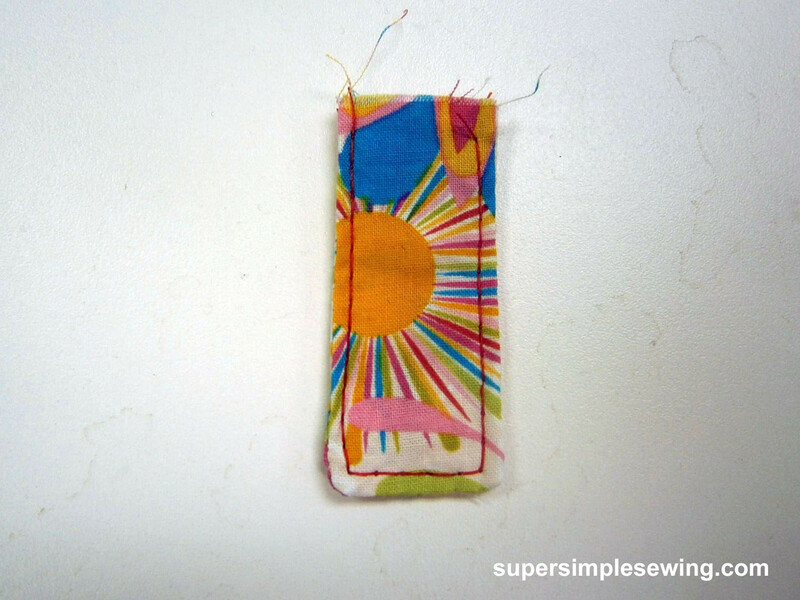 Sew closed with 1/2″ seam trim then flip back. Place the other half of snap set on flap. I like to feed a scrap of ribbon through the hole in the zipper to make it easyer to pull as well as adding a decorative detail. 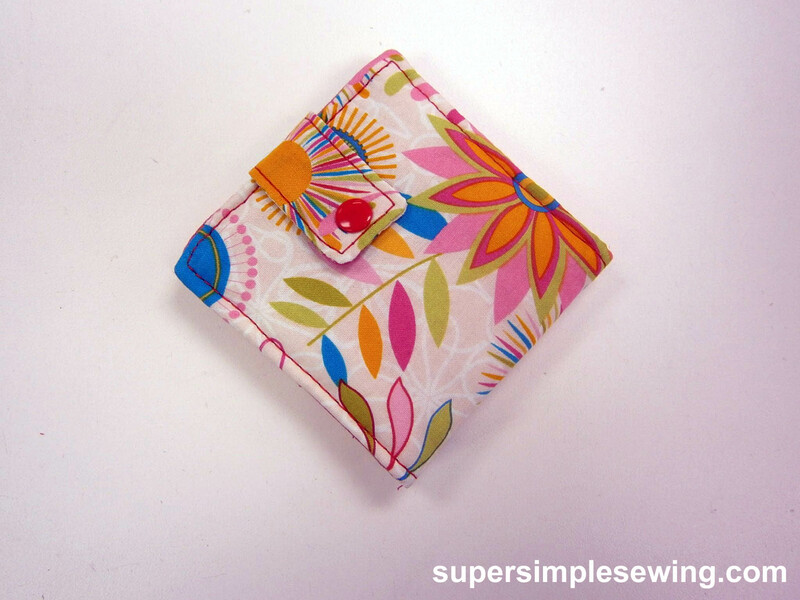 I used a 7″ zipper and trimmed it down. The zipper needs to be at least 4″ long.